Storyteller is a longtime blogger and content creator and is also a proud Mars One candidate! Check out the Nothing in Particular Blog for more. 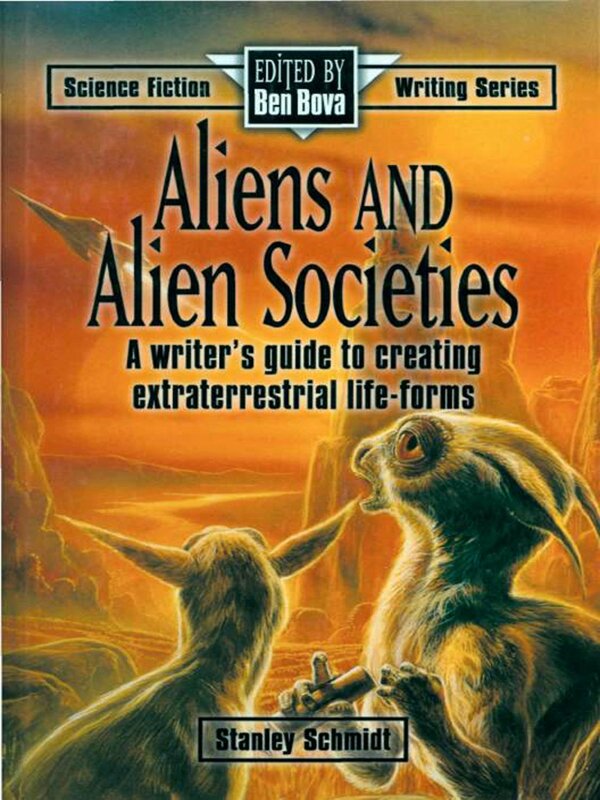 What motivates the moral structure of the alien race you intend to feature in your latest science fiction novel? In many cases, religion is the easy way to answer this question. At least, it seems easy. The hard part is creating a religion that actually makes sense within the context of your alien society. You could do a cop-out here and clone the religious traditions that you are familiar with and you could get away with creating one with elements familiar to those who have studied comparative theology, but your alien religion will be more believable if they have their own rituals, traditions and spiritual ideas. How will the religion fit into your society? Will the religion be the driving force behind your alien race's motives with the priesthood doubling as the functional government? Or will this faith be a nominal backdrop with the usual range of true believers, agnostics, atheists and a majority of people who follow the rituals because they figure it can't hurt? This one choice can have a large influence on both your alien race's makeup and potential future storylines. Clone the Judeo/Christian God or the Greek pantheon if you want, but keep in mind that you aren't being terribly original. One of my favorites is a multifaceted goddess from Mercedes Lackey's Valdemar series. She had four “faces” referred to as the Maiden, Warrior, Mother and Crone. Other examples might be a pantheon that walks the Earth as surely as their worshipers do, such as my own Grebsas (who still aren't used to the idea of being worshiped!) featured in The Grebsa Network: Snow Puppies. It might help to organize your pantheon into some sort of hierarchy that includes lesser elemental spirits such as firesprites, gnomes, nymphs and angels. That means having someone who is generally in charge (“Zeus,” if you like) and a definitive ranking system with decisions regarding who is in charge of what. The video below should give you an idea of what the Greek pantheon looked like; be sure to pay attention to what each god actually did. Each specialized god could have any number of underlings or lesser beings to help them with their assigned tasks. What is their idea of Heaven? Alien “heavens” can possess a wide variety of attributes that are again based on what they value. A warrior race might believe that their souls go to a version of the Vikings' Valhalla if they have lived and died honorably. The Bajorans believe that their souls will reside with the Prophets in the Celestial Temple (the first known stable wormhole – but it is considered impolite to say that to their faces). My own Veroshi believe that the souls of the faithful will be stored in an undisclosed location until the gods create a new universe that is free of evil and safe for them to reside in. The idea of an equivalent “hell” is optional. Your society may believe that an unbeliever will cease to exist or reside in a limbo in which there is nothing at all. You could get a little inventive here. I have scenes in half-written stories that flesh out the Veroshi religion a little bit more. Some of it pushes the cute factor, but your particular religion might not. If a particularly ugly facet of a fictional religion will serve your storytelling, well, it's your universe. Bonus points: Create your pantheon's backstory. Most pantheons have a backstory of some sort. Some pantheons have created the universe. Others have rebelled against their "parents" to take charge of an already created universe. A few make more modest claims, such as creating humanity from a lesser animal (and, no, I am not getting into the Annunaki argument now. I just use it as an example on occasion.). My Grebsas are unique in that they haven't created a universe yet, but the Veroshi believe that they could by absorbing enough power from their loving worship. Have fun creating your religion. ...And I do realize that it's easy to get hung up on very real religious beliefs, either your own or the beliefs of those around you. Simply keep in mind that this is a work of fiction and any religion you include is not really meant for those around you to believe in. The fun part is that you are effectively creating your own universe. That should give you something to chew on while you create your alien races and give them a belief system.